Listen, we know that NBA gear isn’t the cheapest options out there. 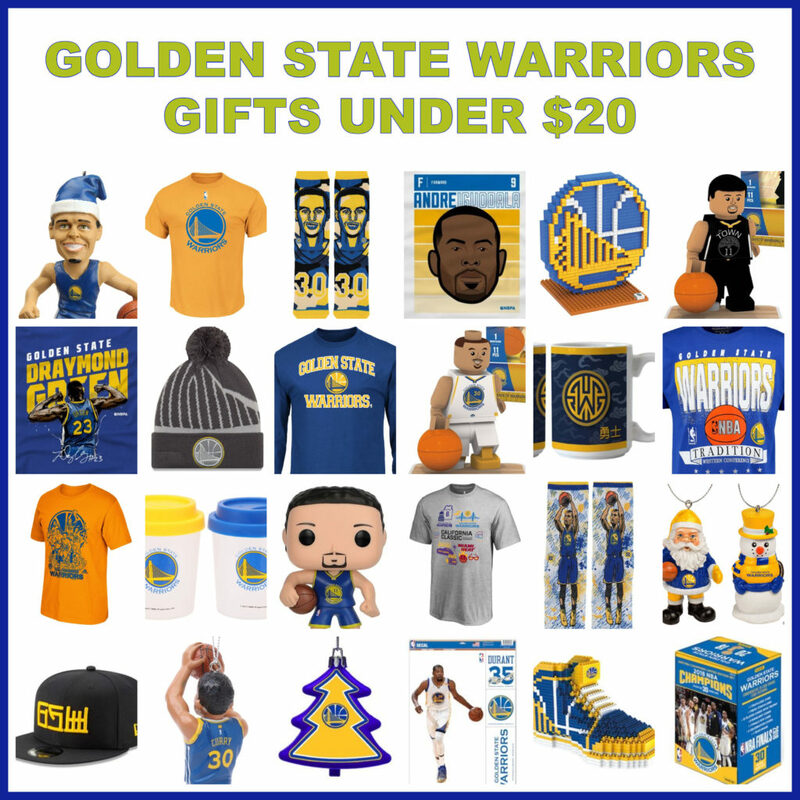 Unless you have a promo code or braving the throngs of people on Black Friday at the mall, getting a decent gift for that Golden State fanatic from any store (online or not) is going to run you a minimum of $40 + tax. Well, we’re here to represent for you and tell you it’s not impossible to get walk out with cool Dubs gear for twenty bucks or less. You believe because you wouldn’t be reading this. You’re not cheap, you’re just shopping smart and we love you for it. 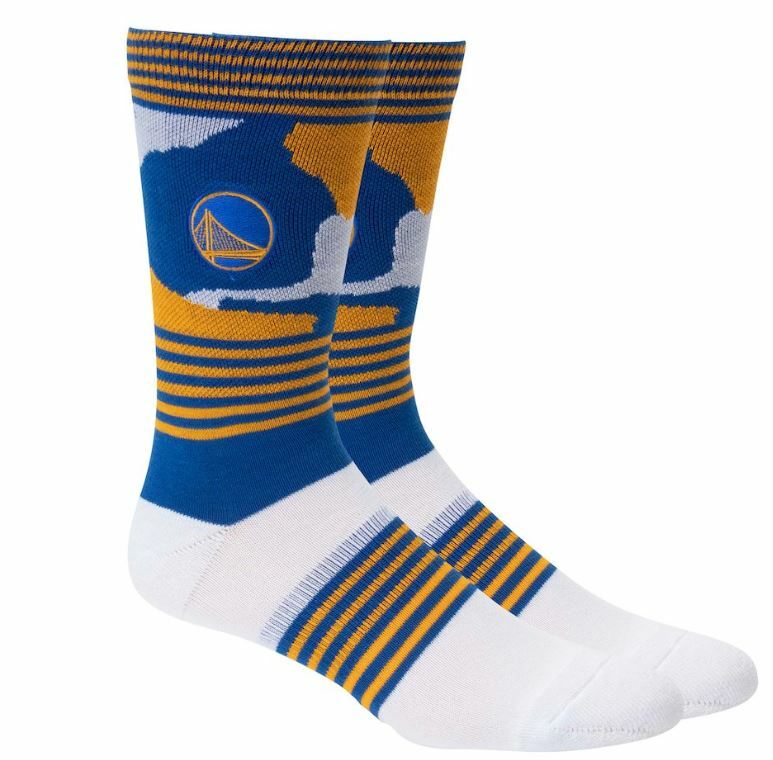 Our team filtered and sorted through the muck and curated a couple dozen of the Warriors “cheaper” items that you can be proud to give that love one. And it’s not just trinkets or impulse items you’re embarrassed to give. 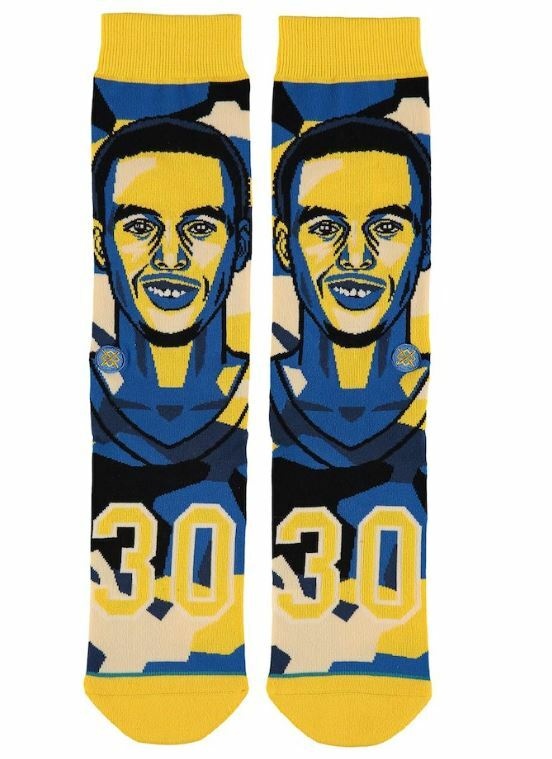 In our updated list of Warriors gifts at under $20, you may not find an authentic Warriors jersey or a dope Golden State throwback jacket, but you’ll find everything else. 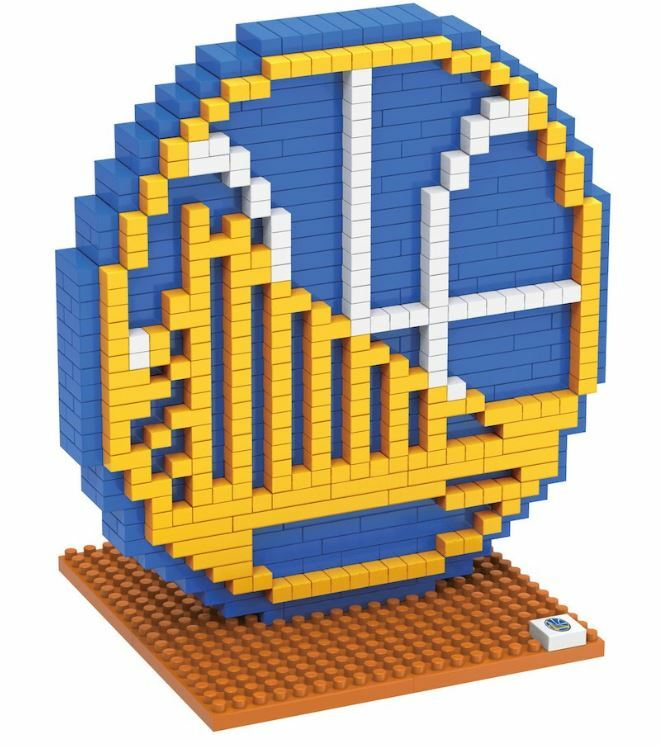 From hats to shirts to mugs to figures to ornaments… all for that discerning Golden State Warriors fan in your circle. Check out the list below and click on each to go to the detailed product. 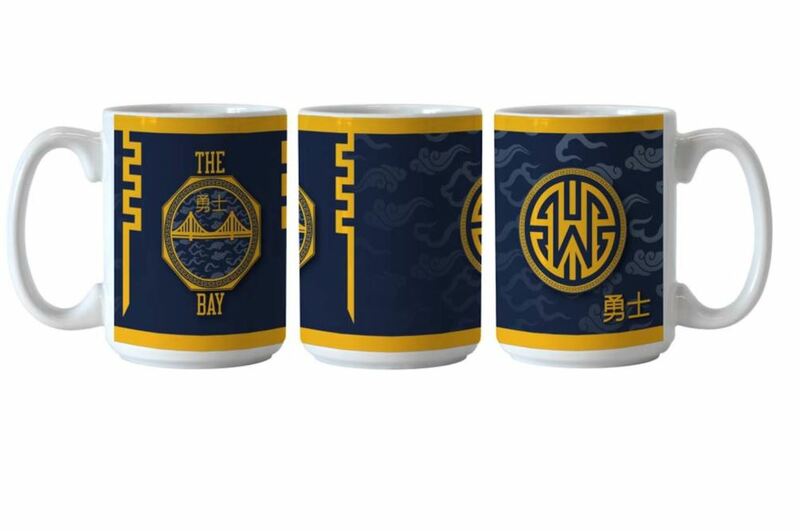 Sorting through hundreds of items at the NBA Store, Fanatics, Amazon, and other team stores, here are our top picks for the best Golden State Warriors gifts under $20. 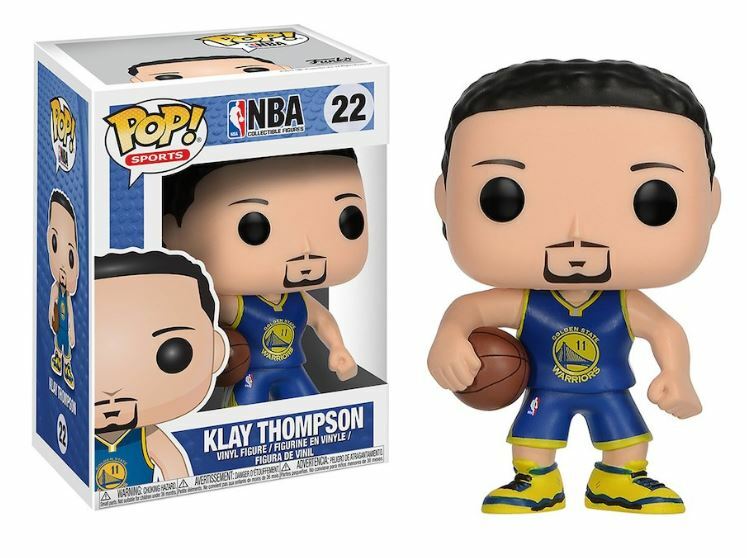 You’ll find that we found something for the Hamptons Five — not just Stephen Curry and Kevin Durant, but Klay Thompson, Draymond Green, and Andre Iguodala fans. 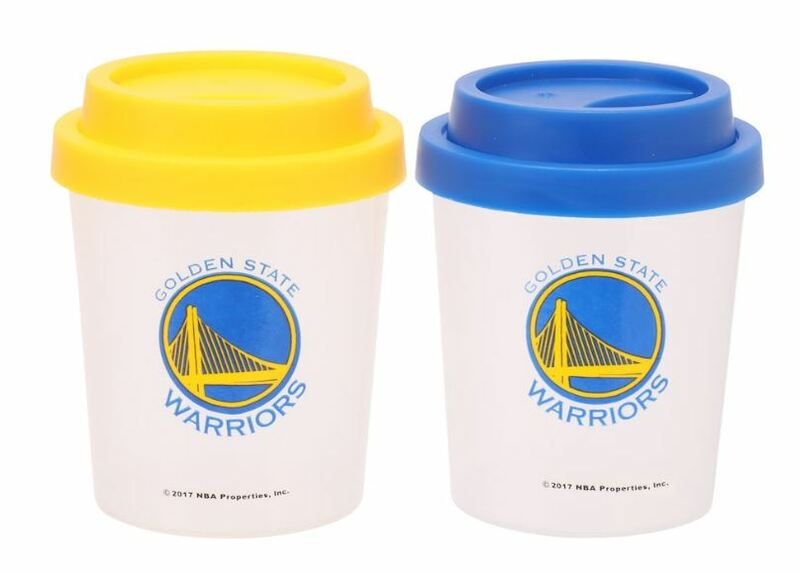 Buy these Golden State Warriors Tumbler Salt & Pepper Shaker, $7.69, Buy Now. 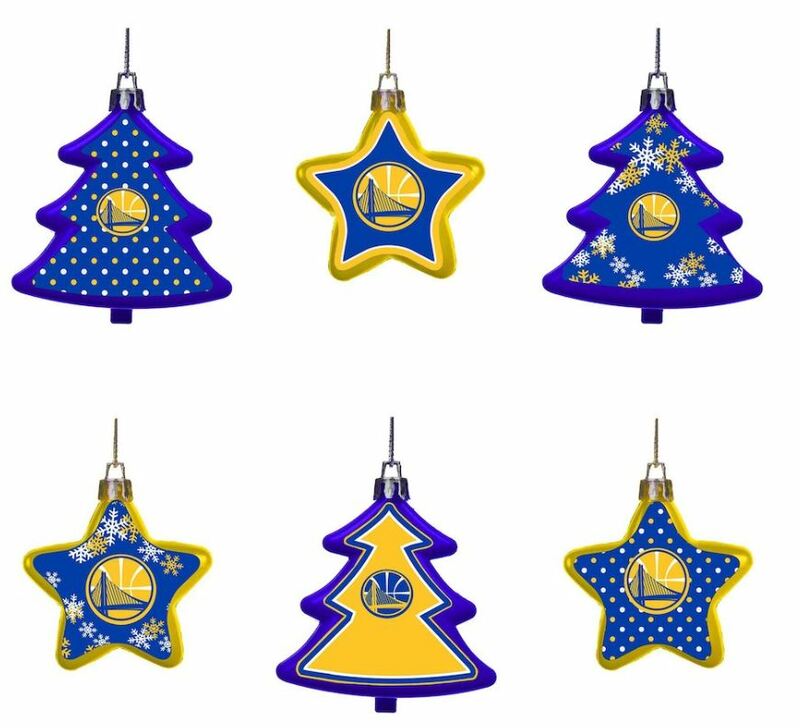 The perfect holiday decor is the Golden State Warriors Six-Pack Tree And Star Ornament Set, $9.99, Buy Now. 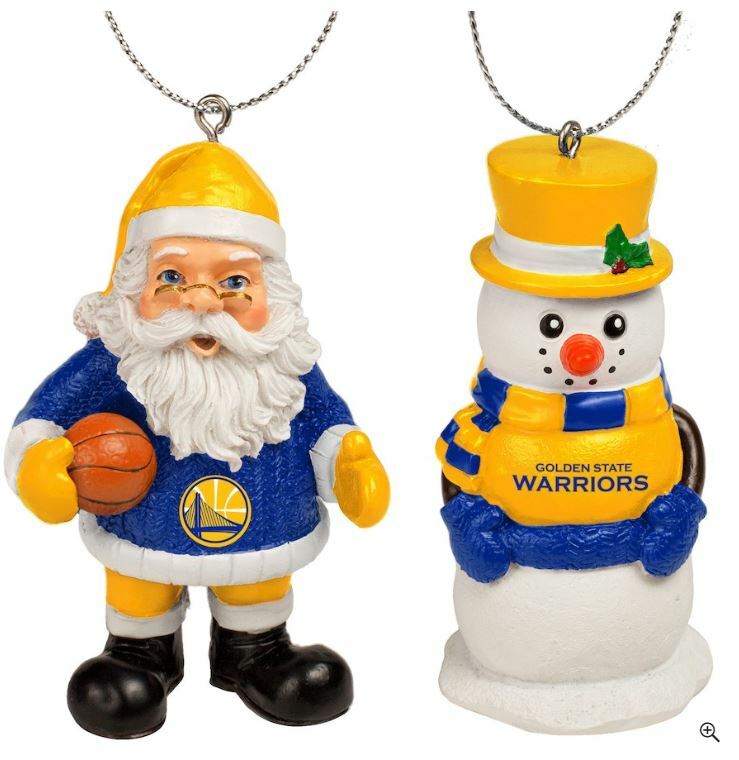 Get the Golden State Santa Clause and Snowman 2-Pack Ornament Set, $11.19, Buy Now. 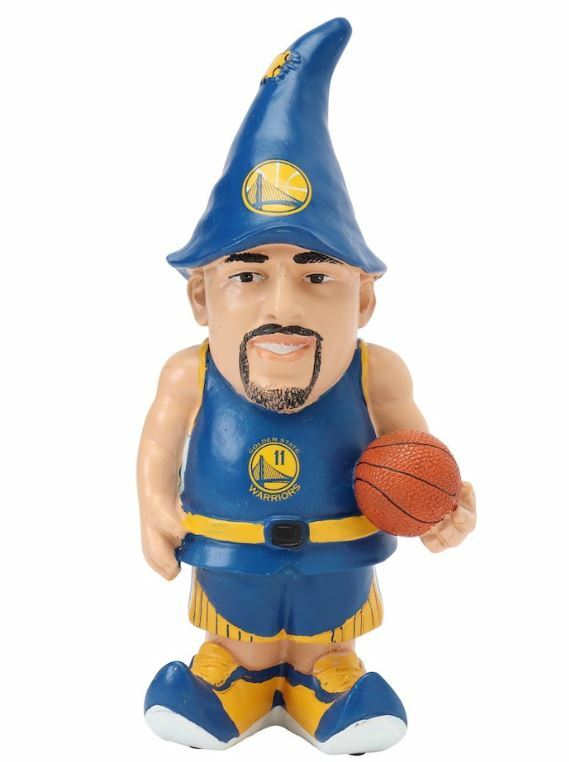 Want the weird and odd Klay Thompson Golden State Warriors gnome/troll figure? go ahead and get it for $13.99, Buy Now. 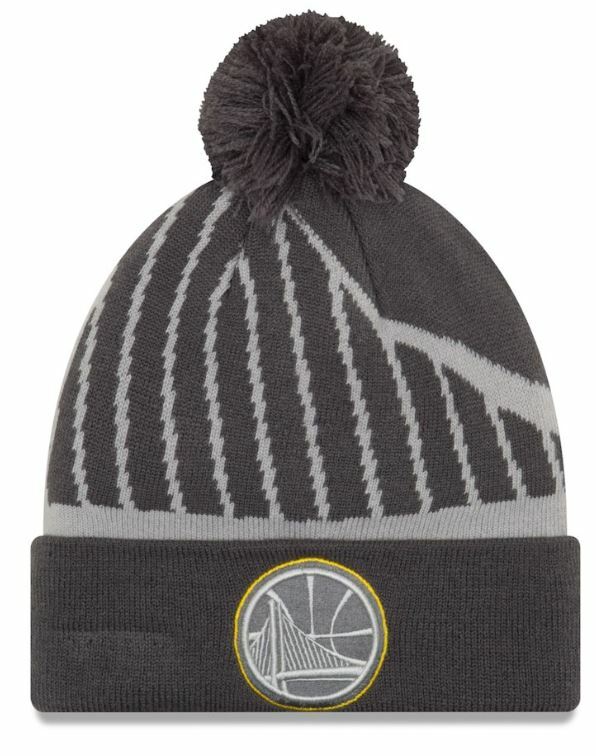 Men’s Golden State Warriors New Era Black/Gray Logo Whiz 3 Cuffed Knit Hat with Pom, $13.99, Buy Now. 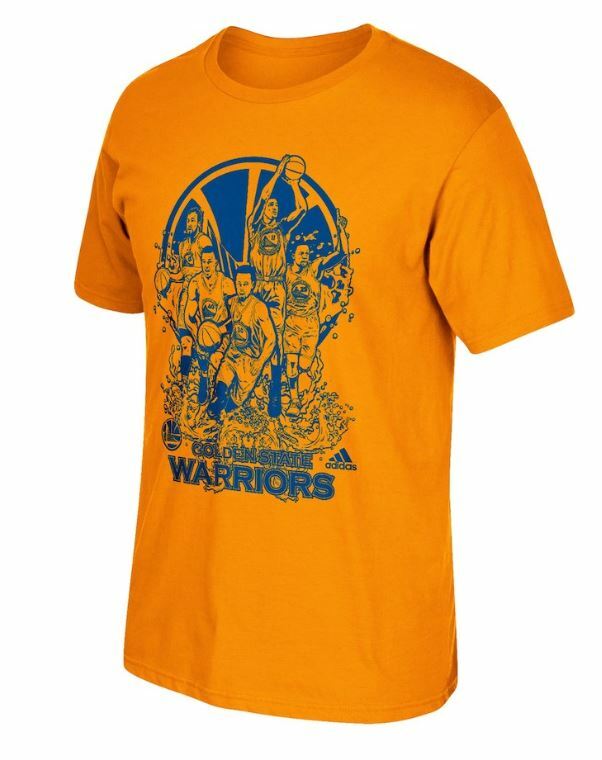 This is the “Majestic” Golden State Warriors Primary Logo T-Shirt in Gold for $15.99. This might be the best gift because despite it being for “men”, anyone can wear it. And of course, it’s super affordable at $18. 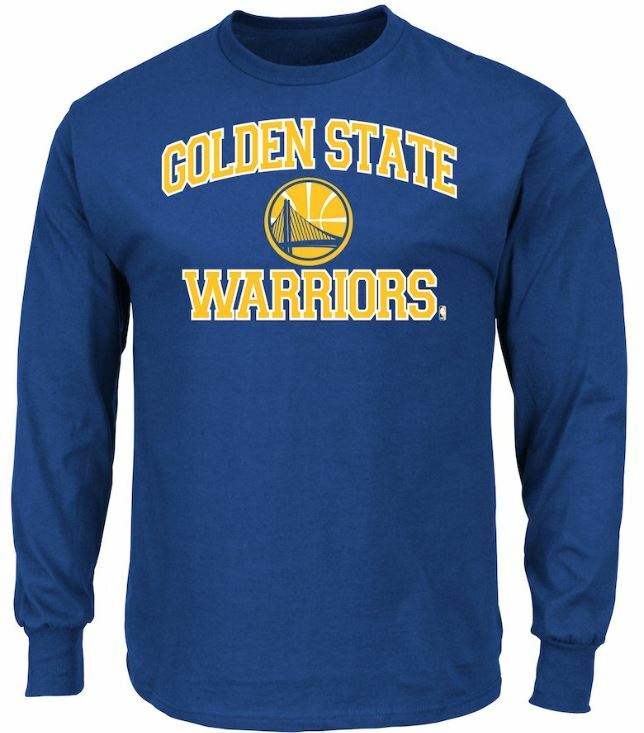 Get the Golden State Warriors Majestic Royal Heart and Soul Long Sleeve T-Shirt, $17.99. 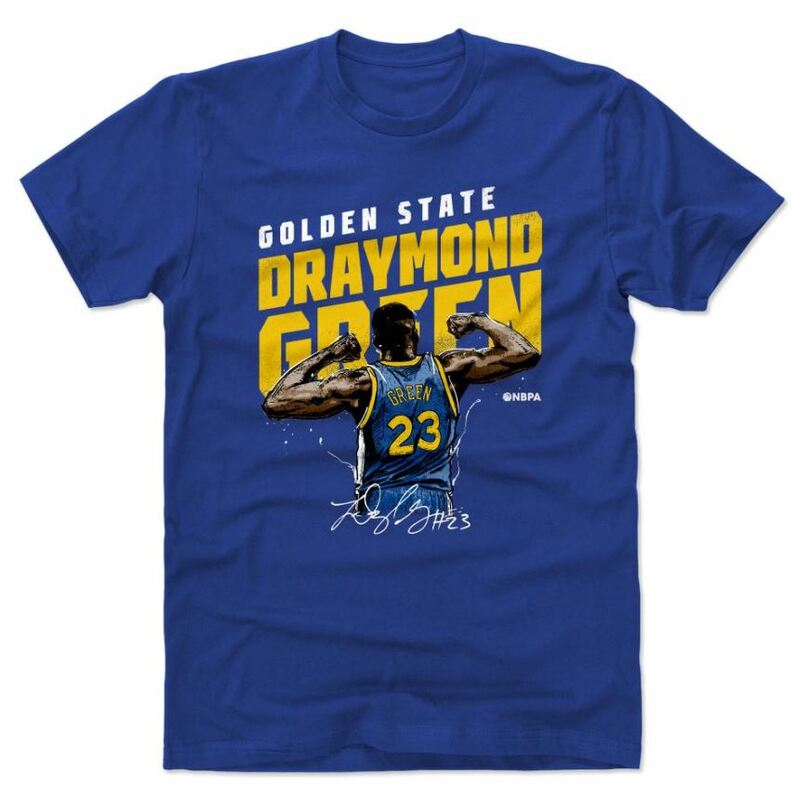 We’re loving this retro Golden State tee that gives us a 1990’s vibe. Buy this for your teen. 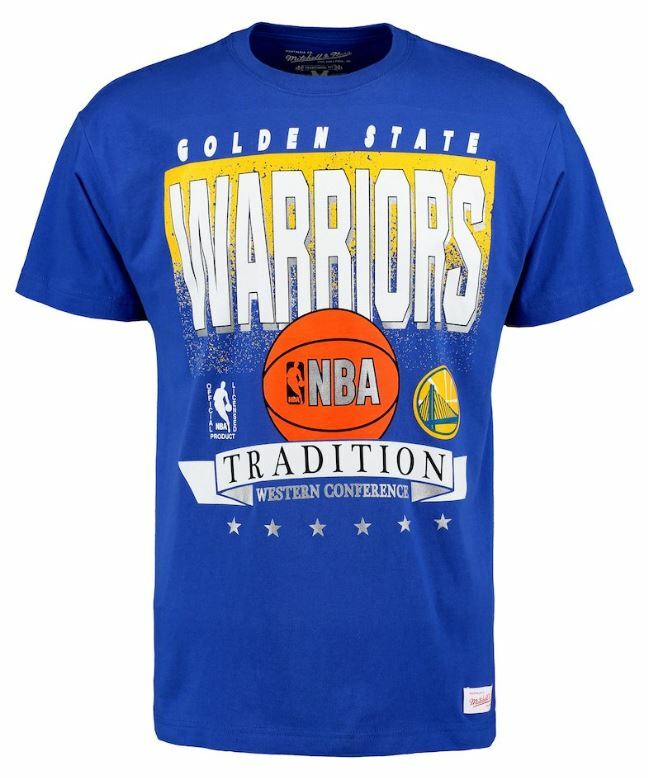 Buy the Golden State Warriors Mitchell & Ness Royal Set Shot Traditional T-Shirt for $18.99. Gift For: Teens, Hoopers in the 8-29 age group. Draymond Flexing Signature Tee in White, $19.99 from 500 Level. Get this t-shirt. 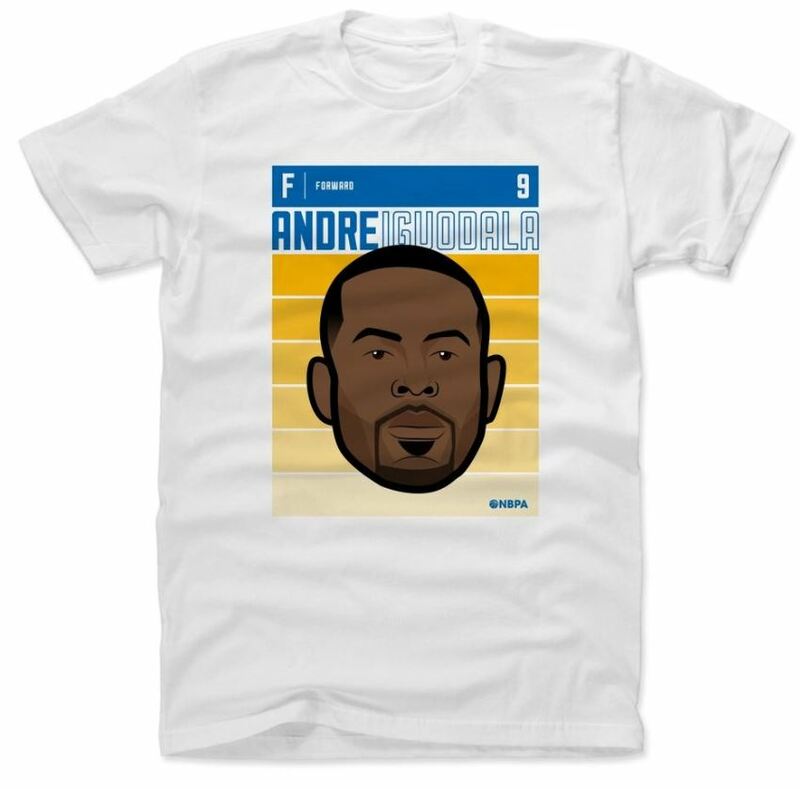 Andre Iguodala Cartoon Tee (White), $19.99 from 500 Level. Go to item. Get this dope tee for your kids. 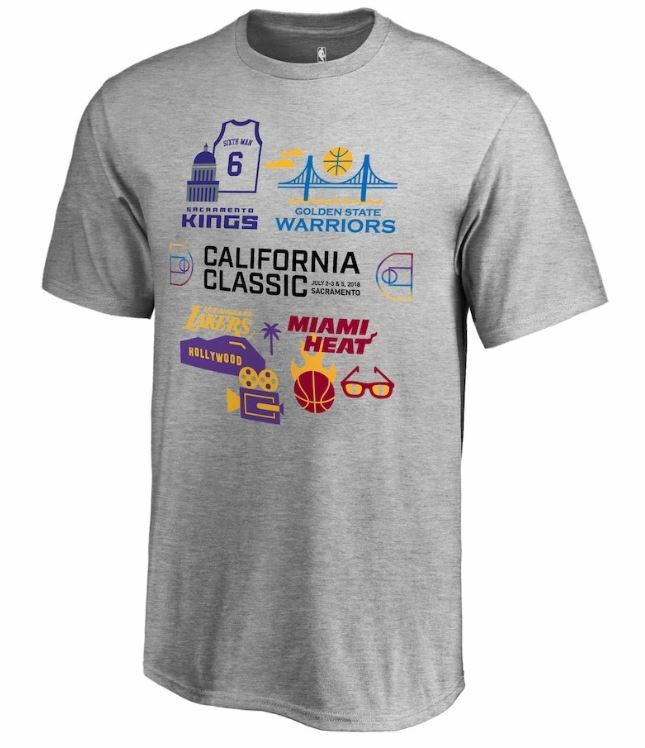 Buy the NBA Fanatics Branded 2018 California Classic T-Shirt (Youth/Heather Gray) for $19.99. 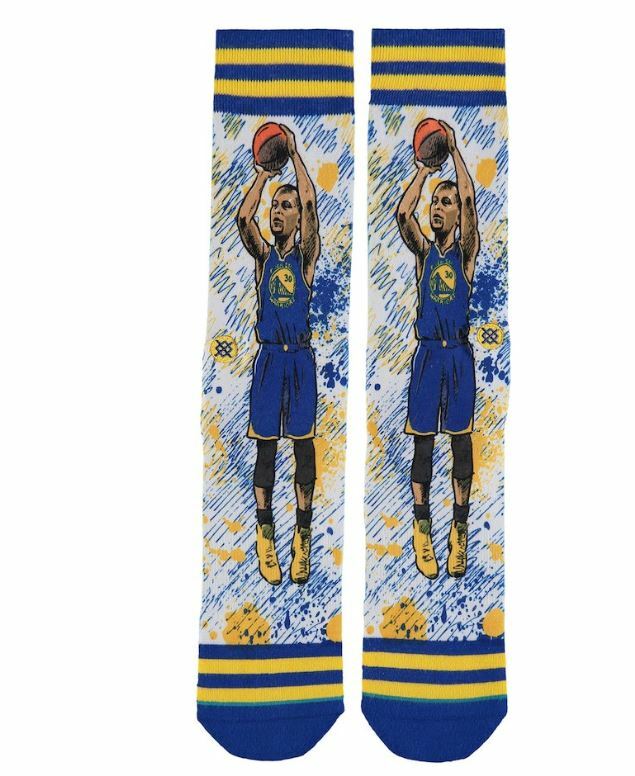 Interested in more affordable Golden State Warriors for a birthday, event or anniversary (you romantic SOB, you!). 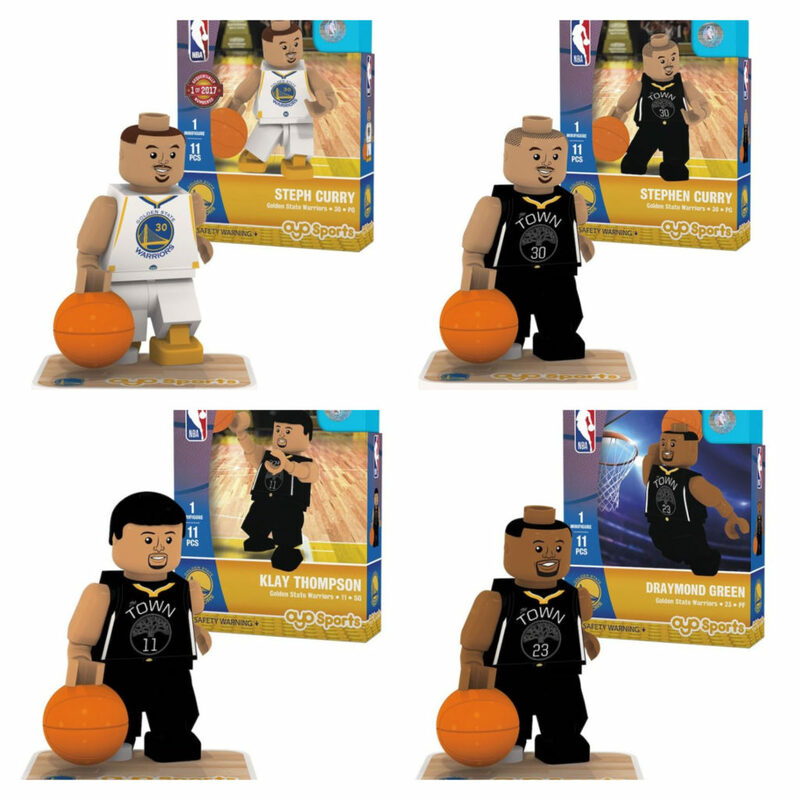 Check out these NBA holiday ornaments. 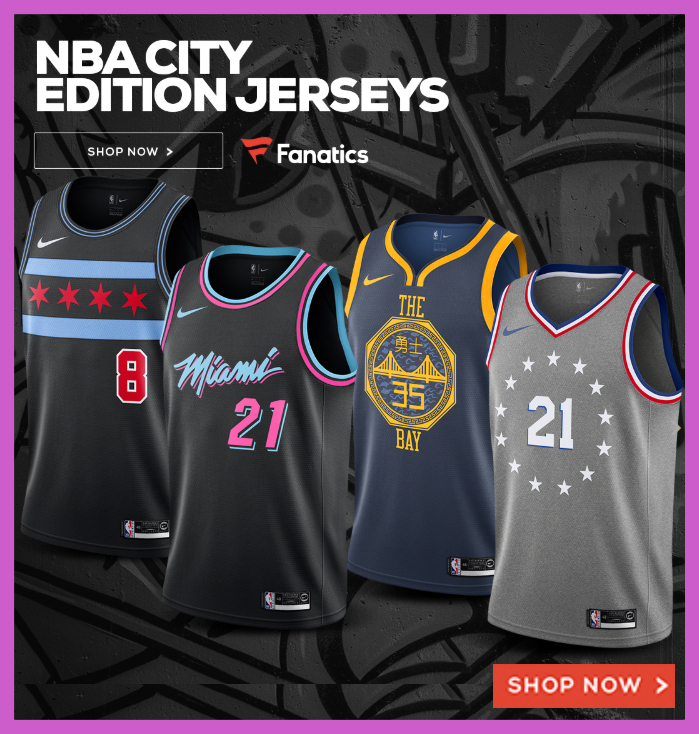 You can also see the full range of products under $20 at the NBA Store, Fanatics and Fan’s Edge. Not inspired at this price point, you can also look at NBA jerseys, throwback jerseys and the hot and popular City Edition jerseys.